Thirty years after opening, Deer Valley Resort continues to seduce skiers' palates. 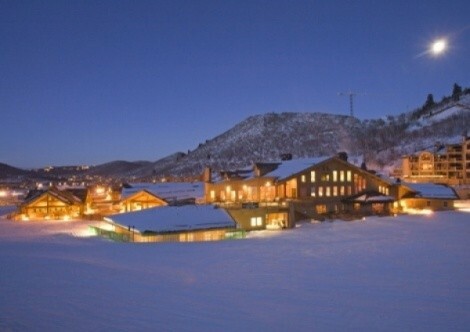 When Deer Valley Resort opened for the 2010-2011 winter season on Dec. 4, it signified the ski area’s 30th anniversary. During these 30 years, Deer Valley Resort has garnered an impressive array of awards, including being rated the No. 1 ski resort in North America an unprecedented four years in a row (2008-11) by Ski magazine. Over the past three decades, Deer Valley has revolutionized the American ski industry by providing the kind of first-class service one would expect to find at a five-star hotel. Among the amenities, of course, is Deer Valley’s delicious dining scene, which continues to improve. Along with a gaggle of other food writers, I recently got to sample a smorgasbord of new dishes from Deer Valley Resort restaurants for the new season, and was very impressed, especially by the length the chefs are going to utilize local products and use ingredients created in-house. Everything from the homemade bratwurst to the smoked paprika is made right in the Silver Lake Lodge kitchen. Looking over 30 years of menus from restaurants such as McHenry’s Grill (now Royal Street Café), The Mariposa, Seafood Buffet, Fireside Dining and others, I was struck by how elevated the quality of food was from the get-go. A 1981 lunch menu from the first season featured dishes such as pistou soup au gratin, fresh seafood sausage with homemade pasta and lemon-thyme sauce, and a Mediterranean salad with fresh oregano vinaigrette. By 1990, The Mariposa was serving breast of squab, Chinese pheasant ravioli, ginger shrimp, sea bass with sautéed fennel and fava beans, and roast venison loin stuffed with cured bacon and apples. Yes, there is cafeteria-style dining at Deer Valley, but there was never standard cafeteria food. Through the years, one of the most popular items has always been the good old hamburger. Striving to always improve even on tried-and-true favorites, this year the hamburgers at all the Deer Valley Resort eateries will be made from all-natural Niman Ranch beef. Deer Valley is also utilizing Niman Ranch pork and lamb in many of its dishes this year, including the wonderful mole pork tenderloin with tomatillo sauce and black-bean polenta, which will be served at Royal Street Café. It’s the invention of chef Chris Gibson, who makes the mole using guajillo peppers, almonds, raisins and other ingredients to create the zippy, silky-smooth mole. He’s also the main man behind Deer Valley’s charcuterie program, which produces everything from bratwurst to house-made salami. A dish not to miss is the ceviche from The Mariposa restaurant. It consists of thin, sashimi-style slices of raw sea scallops, bathed in a vibrant (both in color and flavor) aji chili and lime marinade and cilantro emulsion, topped with julienned green, red and yellow peppers and toasted black sesame seeds. Another spectacular seafood offering for the new season is Seafood Buffet’s spearfish en papillotte. This was a big hit at our table: a spearfish filet wrapped in puff pastry and served with uni roe “panna cotta” and lotus root “confetti.” It’s a fantastic, inventive dish, mostly the creation of young chef Ben Stevens. Meat lovers will enjoy Fireside Dining’s roasted leg of Niman Ranch lamb, which is cooked, literally, fireside at Empire Canyon Lodge, and served with a “mash” of baby carrots, turnips and celeriac from local Copper Moose Farm in Park City. As always, Fireside Dining will also tantalize guests with its simmering stews and fricassees, buttery potato rosti, fire-roasted pork and venison, and chocolate, caramel and white chocolate Grand Marnier fondues. For a break from Fireside’s bounteous buffet, you can always enjoy a mid-meal horse-drawn sleigh ride, right outside the restaurant. For 30 years, under the supervision of pastry chef Letty Halloran Flatt, Deer Valley has been tempting guests with delicious desserts. Many are documented in Flatt’s cookbook, The Chocolate Snowball and Other Fabulous Pastries from Deer Valley Bakery. New treats for the 2010-2011 season include a creation of chef Debbie Swenerton: oven-roasted pears with a blue-cheese mousse, pine nut baklava and Covey Run Semillon ice wine syrup. Yup, it’s as decadent as it sounds, and twice as good. Chef Stephen Harty incorporates Provo’s Amano chocolate into his Jembrana Underground dessert from The Mariposa, a creative combining of Amano Jembrana chocolate made with beans from Bali, and Ogden’s own Underground herbal spirit. If this doesn’t sound quite like your typical ski area grub, well, it’s not. The food and beverage team at Deer Valley Resort continues to push the boundaries of what ski-resort dining can be, invariably with delectable results. To that, add world-class wine lists and some of the best, most professional restaurant service you’ll find in North America, and it’s easy to understand why Deer Valley Resort has thrived and satisfied visitors for 30 years.